**The green felt display head is not for sale here but is listed for sale separately in my shop. Thank you to https://bellatory.com/fashion-industry/Vintage-Celebrity-Hatmaker-Mr-John-and-His-Fabulous-Hats for the wealth of information on Mr. John and his hats. 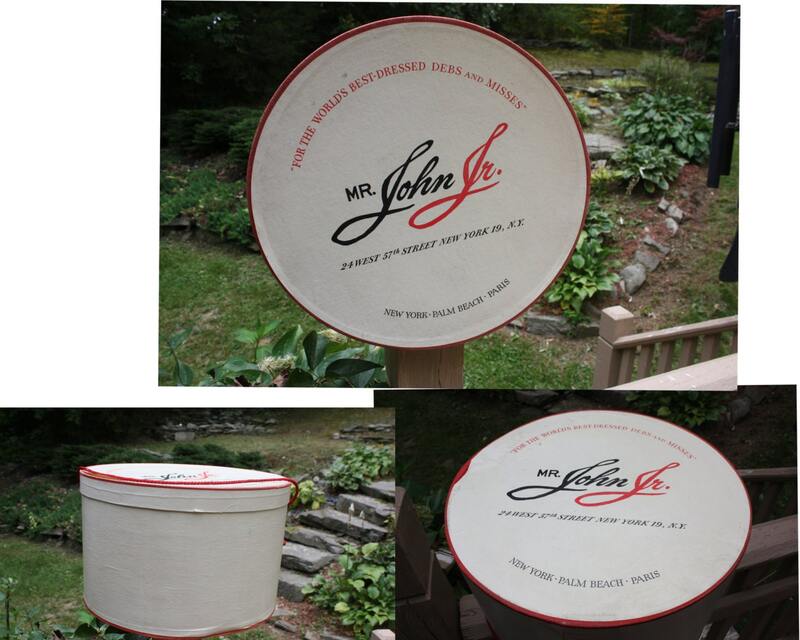 This Mr. John Jr. hat is circa 1950s-1960s and looks to have been worn very little, if at all. 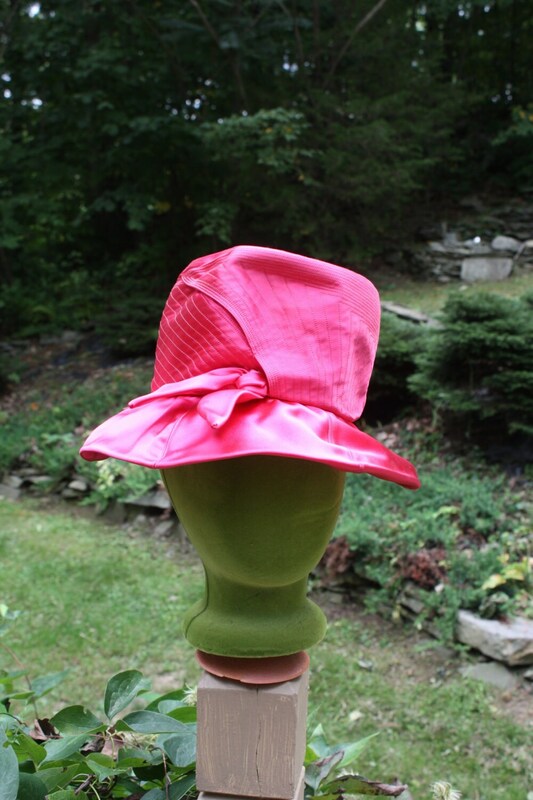 It comes in its original box and is considered a hat for "debs" and "misses" as the box attests to. It has its original label and a union label on the back of this label. 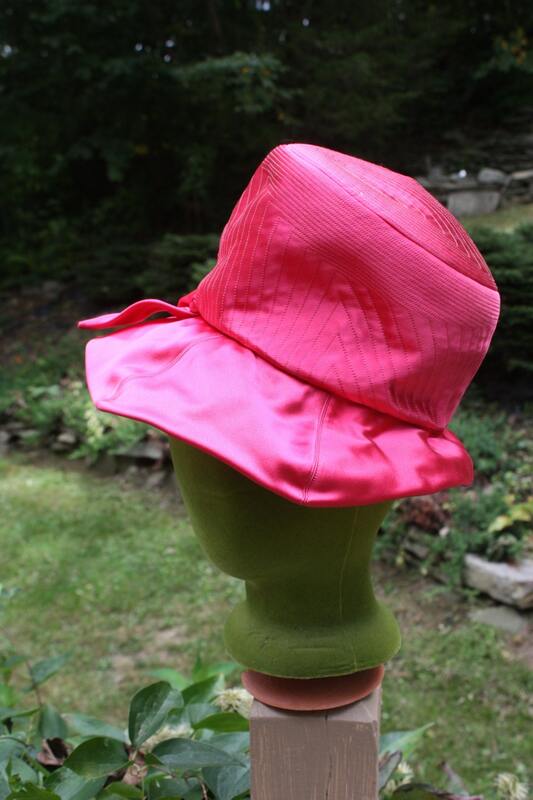 The hat's inner band measures 19.75" around; therefore, the hat can be considered to be a youth's medium. 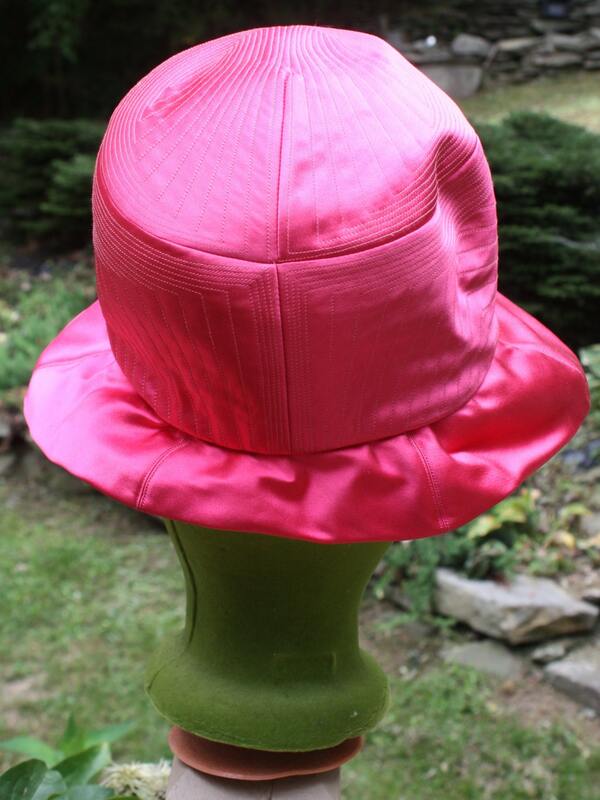 The brim at its widest is 3.50" and 1.50" at its narrowest. The crown of the hat measures 7" across. 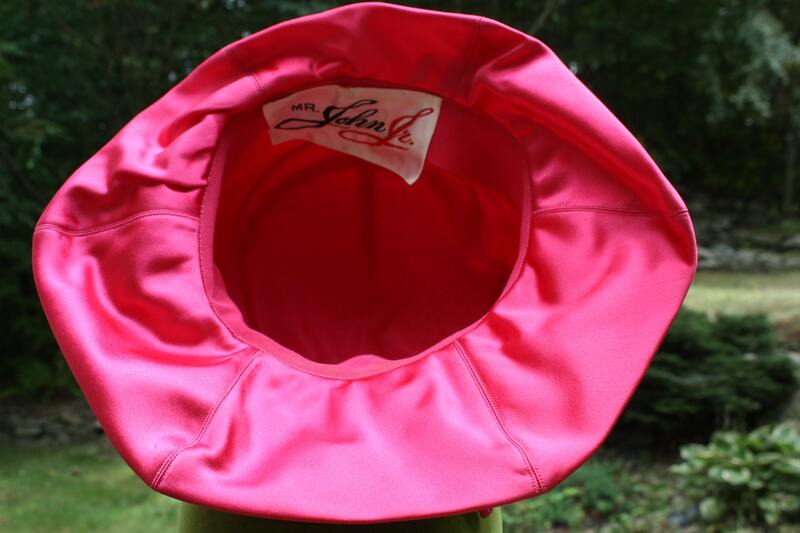 The hat box is 13.75" across the lid. The circumference is approximately 44.25". Please note box is worn, especially on the bottom. If you need more photographs, please do let me know, and I'll be happy to oblige. www.villagehatshop.com gives good directions for measuring one's head for a hat: Measuring for your head size is both an art and a science. You can use a tape measure (or a length of string that you will have to hold up to a tape measure) to determine the length. Place the string or tape around your head about 1/8" above your ear, across the mid-forehead, completely circling your head. Hold the tape firmly, but not too tightly. Basically you need to measure your head exactly where the hat will sit. If your measurement falls between sizes, choose the next largest size. The price is for the hat and hat box.